The latest BRC-KPMG Retail Sales Monitor revealed that UK retail sales in June showed the strongest growth since January 2014, with furniture and outdoor ranges seeing a boost. According to the results, UK retail sales increased 1.8% on a like-for-like basis from June 2014, when they had decreased 0.8% on the preceding year. On a total basis, sales were up 2.9%, against a 0.6% rise in June 2014. This is the strongest growth since January 2014, excluding Easter distortions and compares with a 12-month average of 1.6%. Adjusted for the BRC-Nielsen Shop Price Index deflation, total growth was 4.2%. Total sales in Non-Food categories grew 2.6% over the 3 months to June, close to their 12-month average growth of 3.1%. Toys & Baby Equipment was the best performing category, according to thee report, helped by outdoor toys, particularly in the last week of the month when the heatwave stimulated sales of all seasonal items. Online sales of Non-Food products in the UK grew 17.6% in June compared with a year earlier, when they had grown 10.6%. The Non-Food online penetration rate was 18.4%, up from 16.9% in June 2014. British Retail Consortium director general Helen Dickinson said: "The retail industry performed strongly last month, experiencing the best overall sales growth in eighteen months, excluding Easter distortions, albeit on the back of a weak June last year. Food sales grew for the seventh month in a row, while June also brought with it a boost for the non-food categories, with furniture doing particularly well... The last week of June ended the month on a high note, with seasonal items like outdoor toys in high demand." She added: "We saw welcome signs of growing consumer confidence, with people more willing to 'trade-up' and spend a bit more on big-ticket purchases, likely boosted by the growth in the supply of credit and other factors such as low inflation and rising real incomes. Some of the measures outlined by the Chancellor in last week's budget are likely to help boost consumer confidence even further, with measures like the continued freeze in fuel duty and the increased personal tax allowance ensuring consumers have more money in their pockets to spend. We also welcome the Chancellor's focus on increasing productivity. This is of crucial importance to enhancing retailers' ability to continue to serve their customers better." 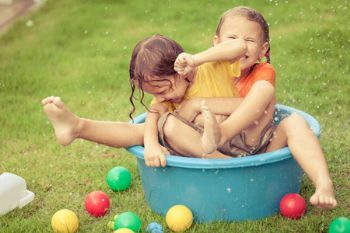 David McCorquodale, Head of Retail, KPMG, said: "As the Wimbledon tennis championships got underway, June served up an ace for sales of non-food items... sales of Toys & Baby Equipment bounced up towards the end of the month with seasonal outdoor ranges such as paddling pools and trampolines soaring, as consumers looked to make the most of June's heatwave. The grocers continued to fight to make headway against a deflationary tide. The quarterly decline is distorted by the timing of Easter and I expect to see a better picture emerge next month. "Moving into July, many eyes will be trained on sector share prices after the market reacted strongly to a number of surprise announcements, particularly around the living wage, in the Chancellor's Summer Budget. However, with Murray-mania having once again swept the nation, another heatwave on the horizon, and school holidays imminent, retailers will be hoping that the nation's feel good factor will continue all summer long."